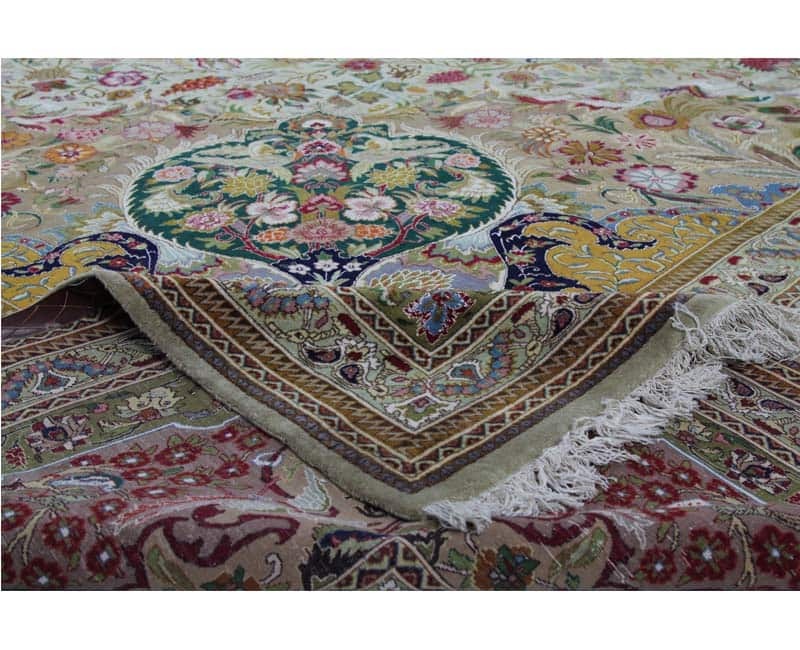 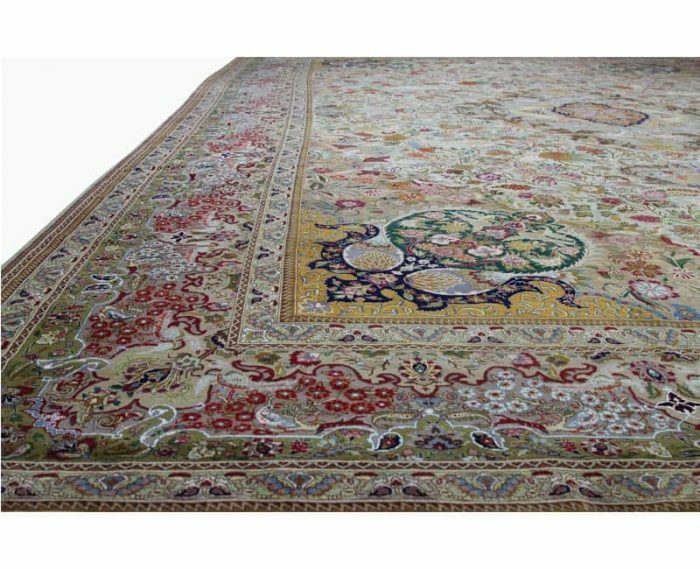 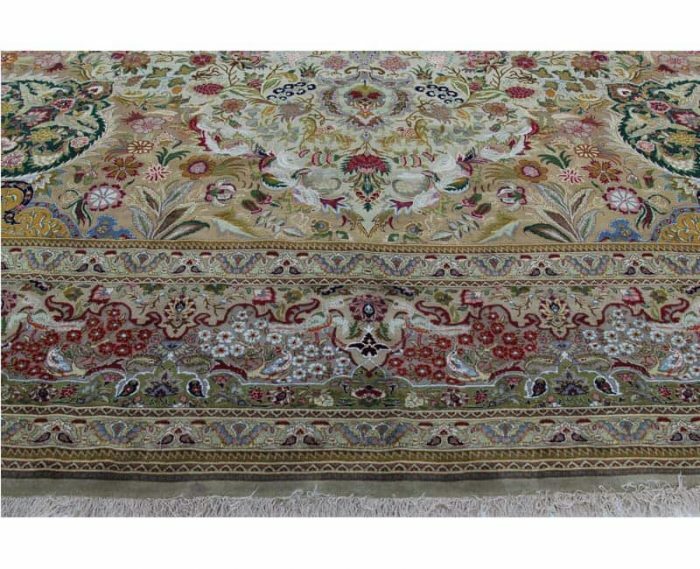 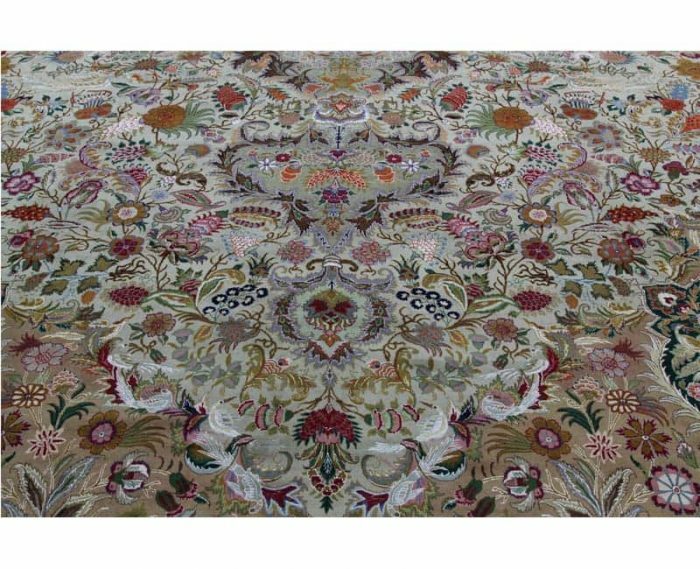 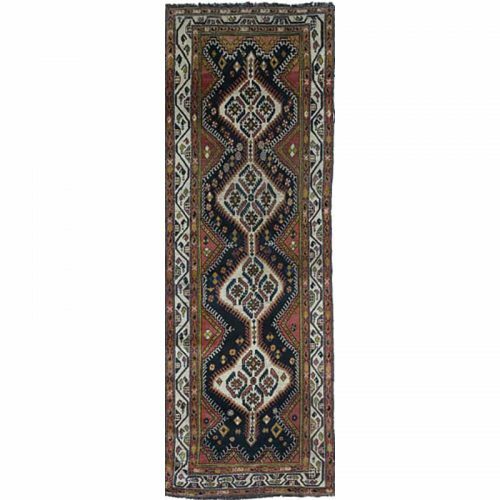 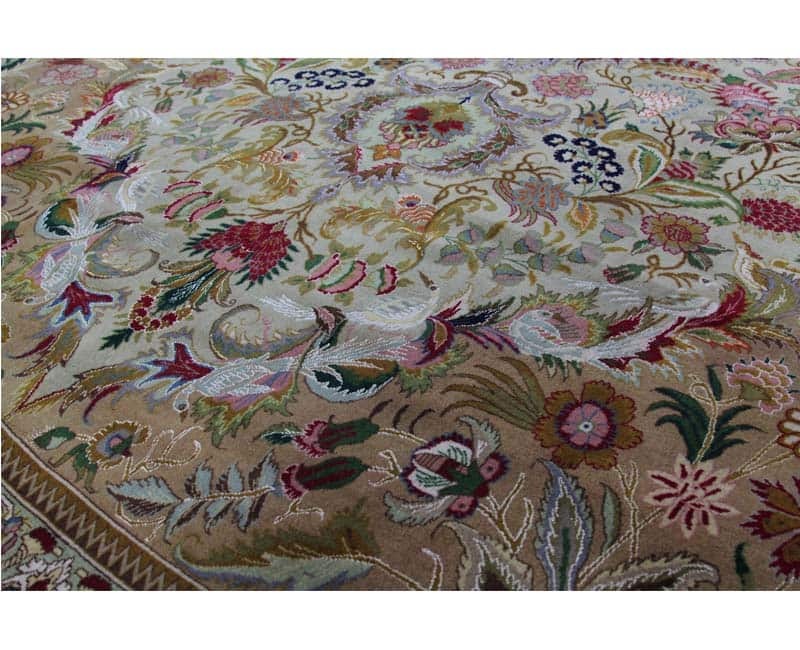 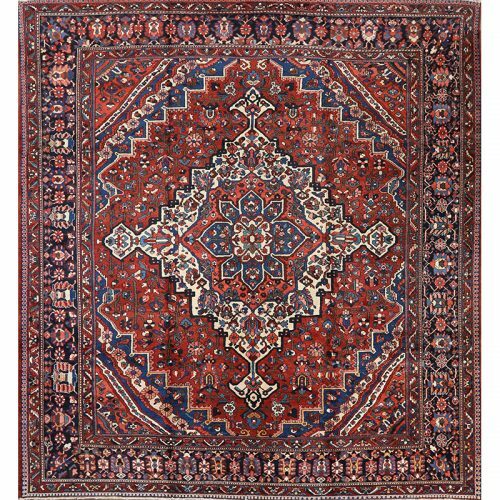 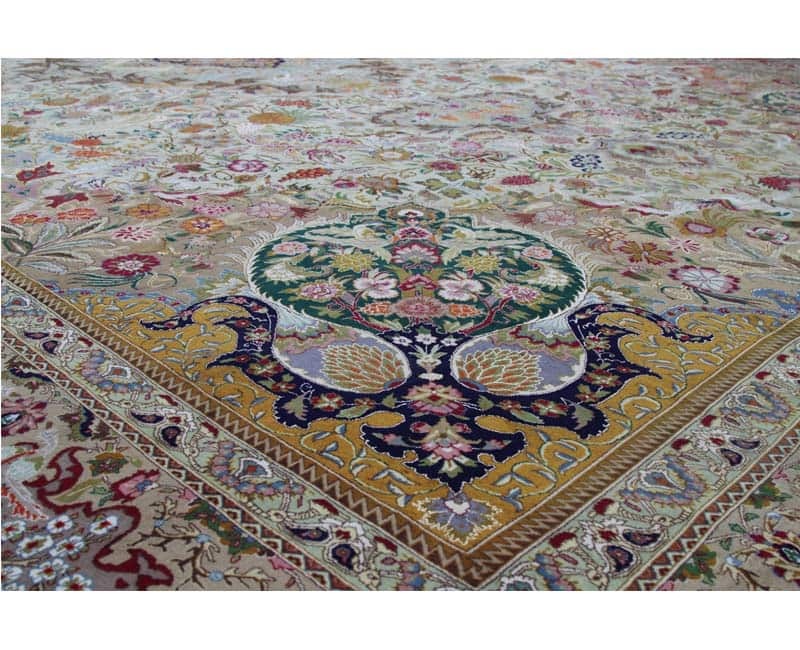 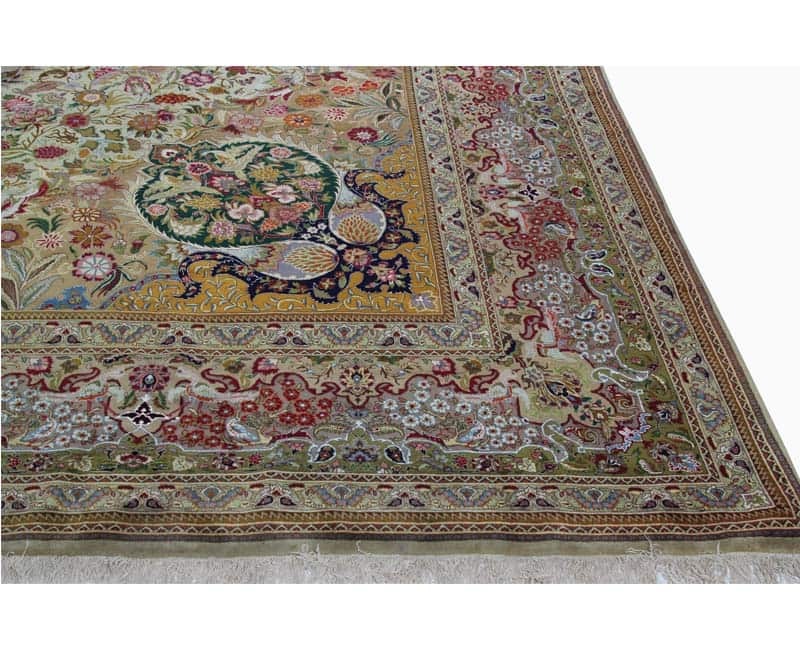 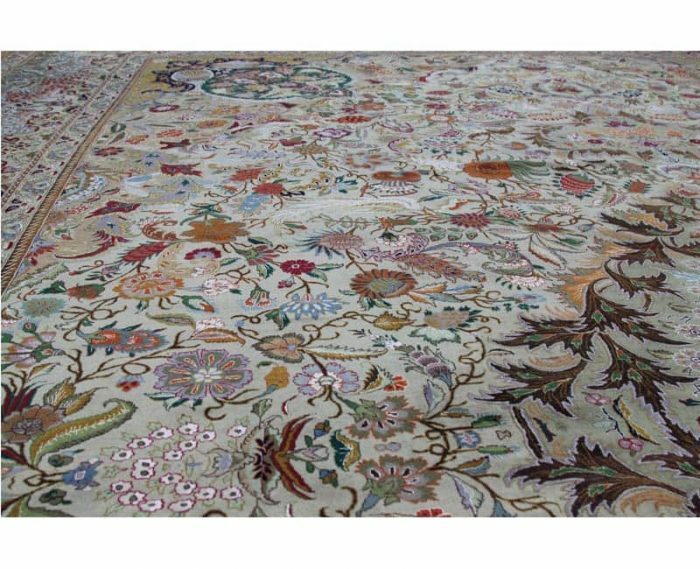 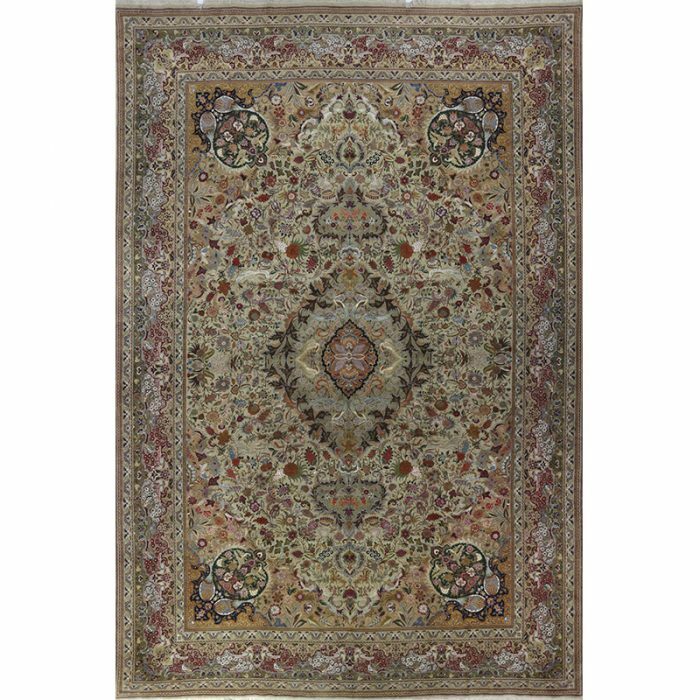 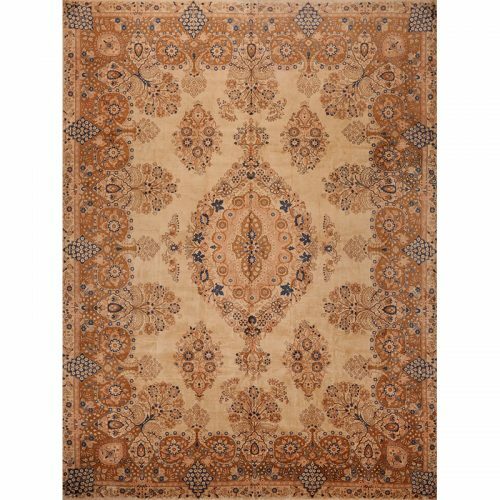 This traditional old handwoven Masterpiece Persian Tabriz wool & silk area rug features an intricately rendered medallion and corners design embellished with an elegantly beautiful floral and bird motif. 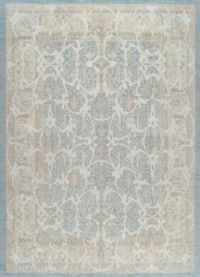 The luxurious field of light green is elegantly enclosed with a highly nuanced border of multiple colors. 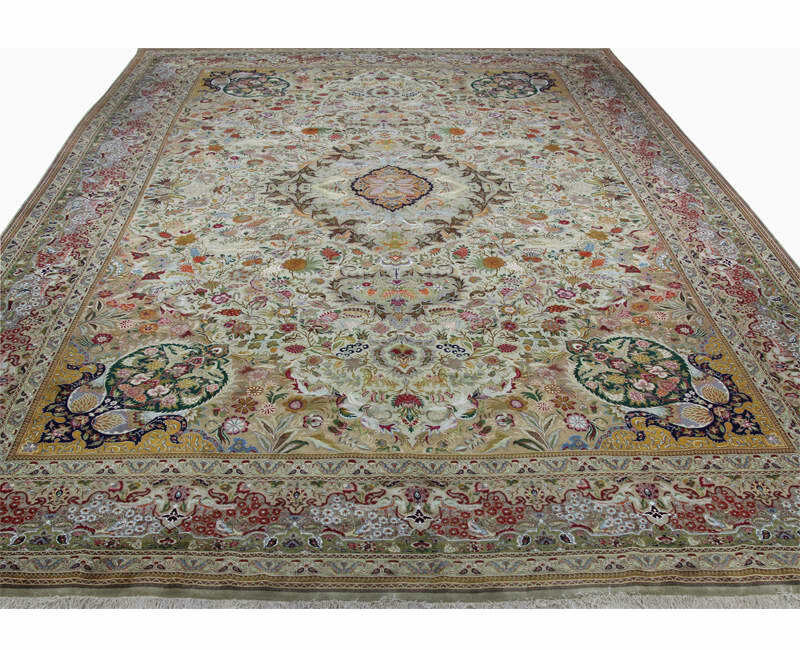 Additionally, accent colors include shades of ivory, orange, navy, green, mint, camel, red, and blue. 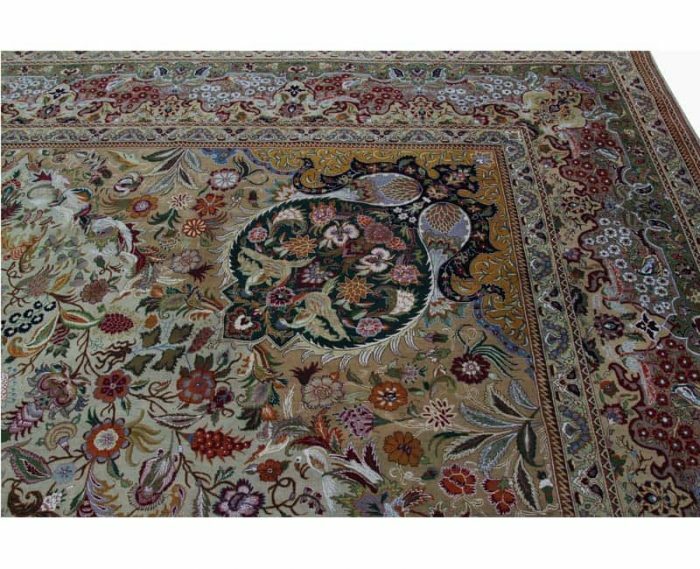 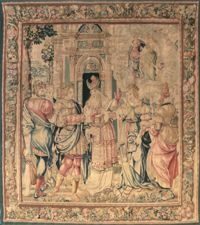 Created from 100% high quality wool and silk by the artisans of Iran, approximately 40-50 years old. 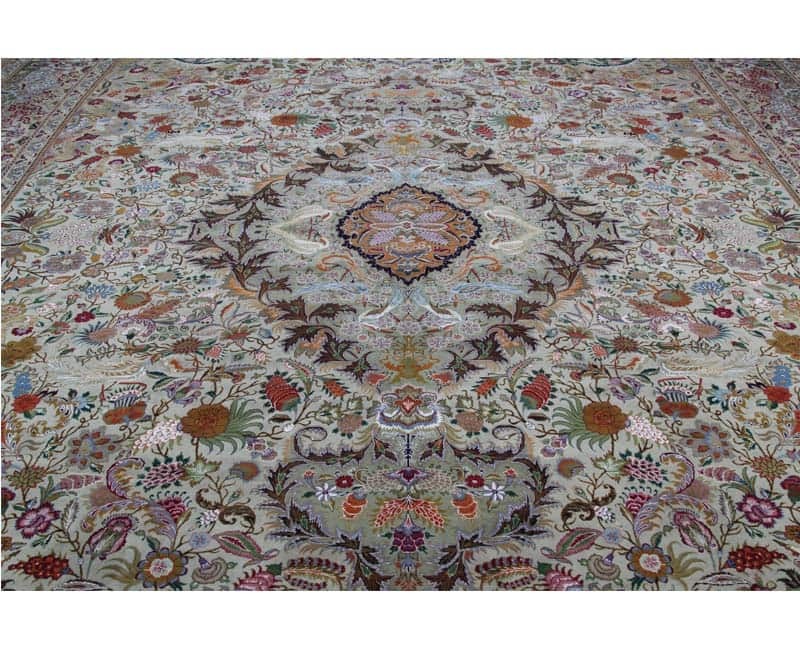 Due to possible fading or running, do not scrub any liquid spills. 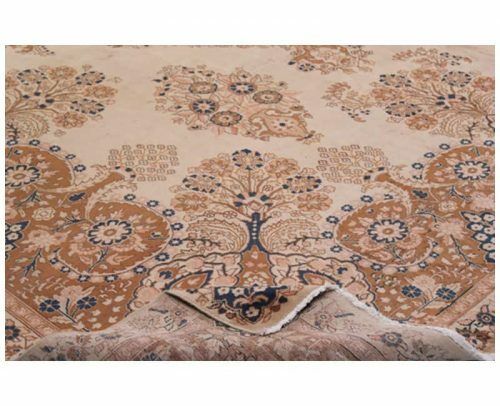 Simply absorb moisture by blotting it with paper towels. 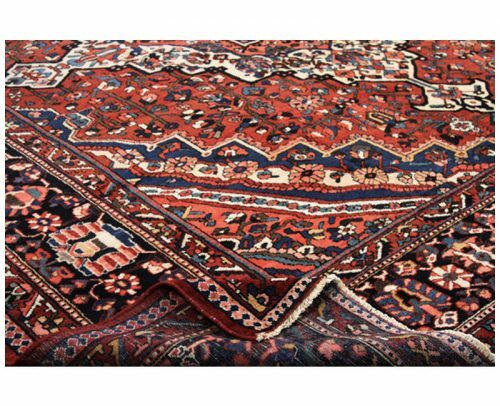 Never scrub!